Hearthstone is getting much friendlier for newcomers with the introduction of the game's latest update. 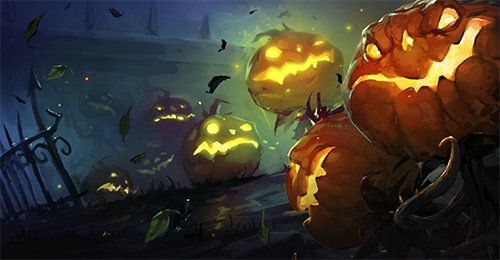 Days after announcing Hearthstone's initial plans for Hallow's Eve, Blizzard has moved forward and deployed Update 12.2. This begins preparations for the Hallow's End season, which features a couple of special events. But it also features some noteworthy changes set to go into effect right now. Update 12.2 represents a change to the new player experience. Player ranks are being adjusted with Ranks 50-26 available to new players only. Those new players will never rank down, while only being matched up against similar new blood. On top of that, players can earn free Classic card packs at Ranks 45, 40, 35, 30, and reaching the experienced Rank 25. These early ranks will be played in Standard only, with Wild unlocked upon reaching Rank 25. Tavern Brawls will be unlocked upon hitting Level 20 with any one of the game's nine classes. Blizzard is also simplyfying one of its card variants, in which cards casts upon being drawn from the player's deck. 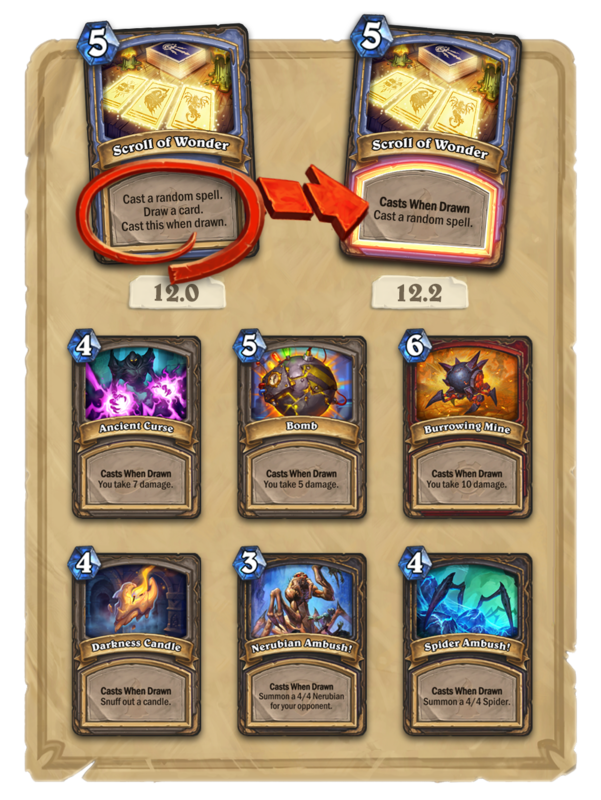 This keyword will read "Casts When Drawn" and will be applied to cards like Scroll of Wonders, which is created by Deck of Wonders. Once the spell is cast, players will then draw another card. As for the Hallow's End event, that is set to begin on October 17 and last through the end of October. Anyone who logs in during that time will receive a free golden Witch's Cauldron. This is a fairly useful Epic rarity neutral card that can add a random Shaman spell to the player's hand whenever a friendly minion dies. In addition to the card freebie, the Dual Class Arena will make its return, where Arena players will select a class, a different class' Hero Power, and draft a deck with cards from both classes. And of course, a new Hero will be made available for purchase, but there are still no details on how to acquire Paladin Hero Sir Annoy-O. For more on Update 12.2, including all-new Daily Quests, the revamped Welcome Bundle, and a slew of bug fixes, be sure to visit the Hearthstone website.